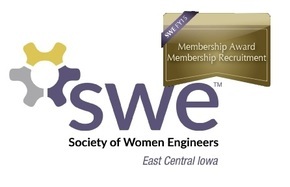 ​Since our section was founded in 2001, we have served as a resource for women engineers in the Cedar Rapids/Iowa City Corridor to network, volunteer, and grow together. Our current core board plans monthly events for our growing membership. Please take some time to look around our site and see what SWE-ECI can do for you.